Is your clinical staff often frustrated by a lack of equipment when and where they need it? Is your staff skilled, efficient and happy? Are you relying solely on original equipment manufacturers for every repair, upgrade and purchase? 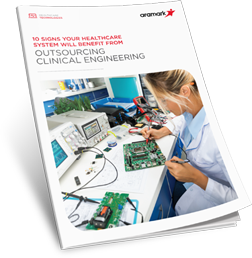 If you answered yes to any of these questions, it may be time to consider outsourcing your clinical engineering to the experts. Pressure to increase revenues and reduce expenses? Find out more in this free guide.